The economy in the United States has been very fragile since 2008, with the housing crisis causing many to lose their jobs along with their homes going into foreclosure. The stock market continues to change on a dime as well, one day posting solid gains and the next posting solid losses. With so much uncertainty out there is it worth looking at baseball collectibles as a form of investment? The simple answer: yes. You always hear about the financial advisors these days who always say individuals should diversify their retirement assets as much as possible to lessen the blow if one asset were to go down drastically. Why shouldn’t baseball collectibles be considered as a form of investment? Not only will they be enjoyable to see on a daily basis (as opposed to numbers in a stock market), but more likely than not they will have a great chance of appreciating in value year after year. With that said though, it is still an investment like gold, and there is the risk that the collectibles could go down in value over time along with appreciating. The condition of the collectible will have to be kept very stable for as long as possible as well. Now, should you just go out and start collecting anything baseball related and then stock it away for a few years hoping that it will be worth a lot of money in a few years? Of course not. It takes some time and effort to choose the correct baseball collectibles that will appreciate in value over time. This article will provide three current and recently retired players whose collectibles should safely continue increasing in value over time. Albert Pujols is one of the greatest baseball hitters to have ever played the game, and when all is said and done with his career the prices of his collectibles will continue to rise. Over his 11 year career to this point Pujols has an annual average of 42 home runs, 126 RBIs, and a .328 batting average. In the 2011 offseason Pujols signed a ten year deal with the Los Angeles Angels, so this presents and interesting situation for collectors, as one can get collectibles for the Angels or the Cardinals. 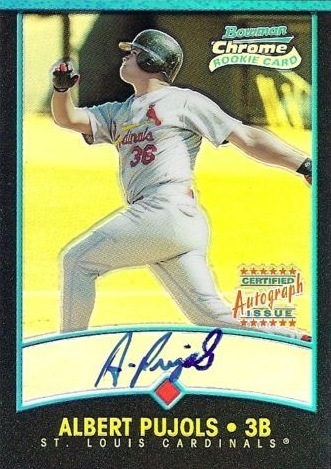 He will more than likely be remembered for his time with the Cardinals, so it would be a wiser decision to focus on getting collectibles featuring him on that team. With steroids rocking the state of baseball throughout the 2000s, one player’s legacy that has remained in-tact into today is that of Ken Griffey Jr. Ken played his last season in 2010, and over the course of his career had a total of 630 home runs, 2,781 hits, and a .284 batting average. 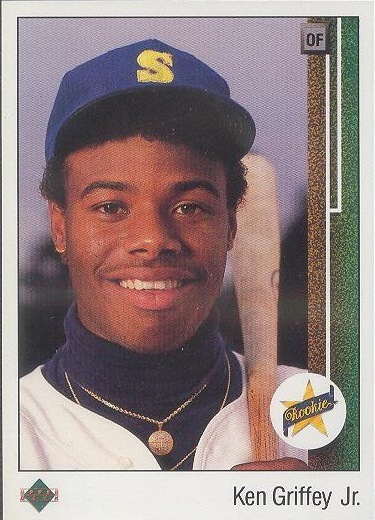 Griffey Jr. should make it into the Hall of Fame on the first ballot with ease, only increasing the value of his collectibles. As the dust settles on the steroids era Ken’s accomplishments (especially in regards to home runs) will increase his legend more and more as time passes. 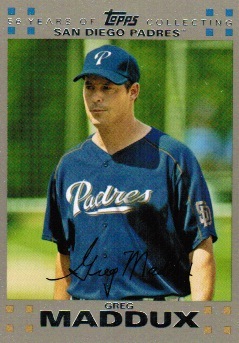 Greg Maddux is considered as one of the five greatest starting pitchers to have ever played the game, compiling a record of 355-227 over his 23 year career, with 3,371 strikeouts, 35 shut outs, and an ERA of 3.16. Greg is most known for his stretch during the early 1990s where he won four consecutive Cy Young awards, posting an ERA of 1.56 in 1994. He will be eligible for the Hall of Fame soon and could possibly have the highest voting percentage of any player who has ever been elected.